We're a nation addicted to smartphones, says Ofcom | What Hi-Fi? We're a nation addicted to smartphones, according to the latest Ofcom report published today. The industry regulator's research finds that 60% of teenagers are "highly addicted" to their smartphones, with almost half of teenagers and 25% of adults now owning such a device. And it seems we'll use our smartphones almost anywhere, with 47% of teenagers admitting they use theirs while on the loo. People frequently use them during meals and while at the cinema too. Facebook remains the most popular website for mobile users, with 43 million hours spent on it in December 2010. Although Apple's iPhone was a favourite device for 32% of adults, among teens its popularity was dwarfed by the Blackberry, which 37% of young people identified as their preferred brand. 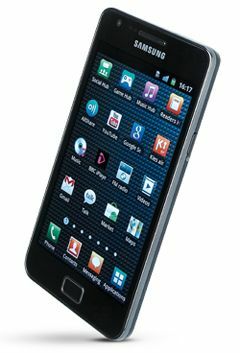 Just over half of the total 13.6m mobile sales from January to June 2011 were smartphones, according to research by GfK Retail and Technology UK.